Actor Denis Lawson has said he will not be appearing in any of the new Star Wars sequels, possibly confirming those rumors that the subtitle of Star Wars: Episode VII will be The Ancient Fear—as in, the ancient fear that the new Star Wars movies won’t have Wedge in them. Lawson made his comments at a screening for his new movie, The Machine, where everyone sat politely through a Q&A until they felt a respectful enough length of time had passed that they could finally ask him about Star Wars. 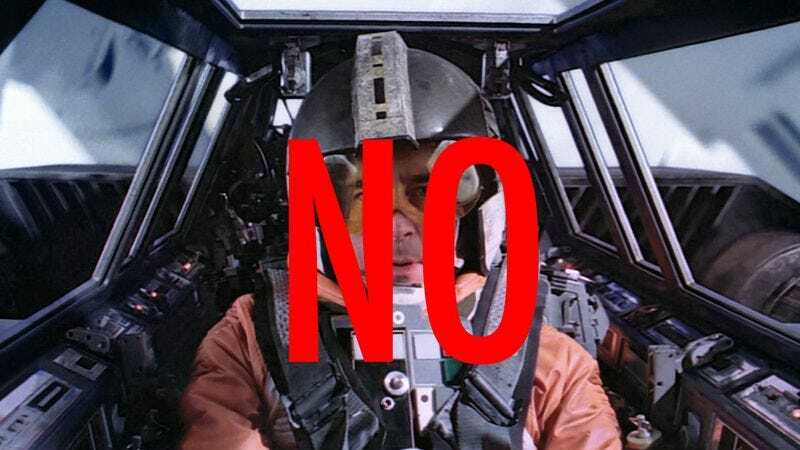 And it was there that the erstwhile Wedge Antilles—who’d previously suggested he would only return to the role if it were “fully rounded and expanded”—said he’d been approached but had turned it down. “I’m not going to do that….They asked me but it just would have bored me,” Lawson said of the offer to have yet more spaceship laser fights, where he probably just had to blow up yet another moon-sized battlestation. Since Return Of The Jedi, Lawson has enjoyed steady work on British television, appearing on series such as Bleak House and Jekyll that have allowed him to stretch as an actor by not asking him to pretend-fly any spaceships toward any giant spheres. Notably, Lawson also warned his nephew, Ewan McGregor, not to join the franchise if he wanted to “have a career after 30”—suggesting Lawson’s distaste for Star Wars goes beyond just ennui with big, floating death-balls. Meanwhile, Wedge has taken on a much larger role within the Star Wars Expanded Universe—but with the movies officially diverging from that, it seems Lawson’s hope for a new, “fully rounded” part for Wedge just wasn’t met. Unless, of course, they responded to Lawson’s “fully rounded” request by showing him another large orb he had to go explode, in which case it’s understandable why he’d be turned off.